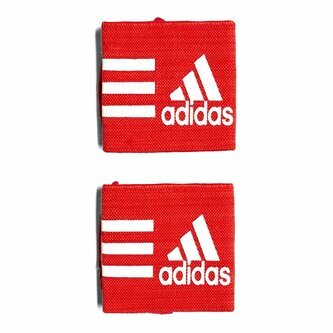 To help keep you shin guards in place and your legs protected, these adidas 3 Stripe Guard Stays are the ideal accessory for anyone serious about their sport. Made from 100% polyamide for a lightweight fit, these guards are designed to be worn over your socks and below the shin guards for optimum performance on the football pitch. A plain red colour is complemented by the white adidas three stripes running around the guard for a distinct look.